Take a deep breath. 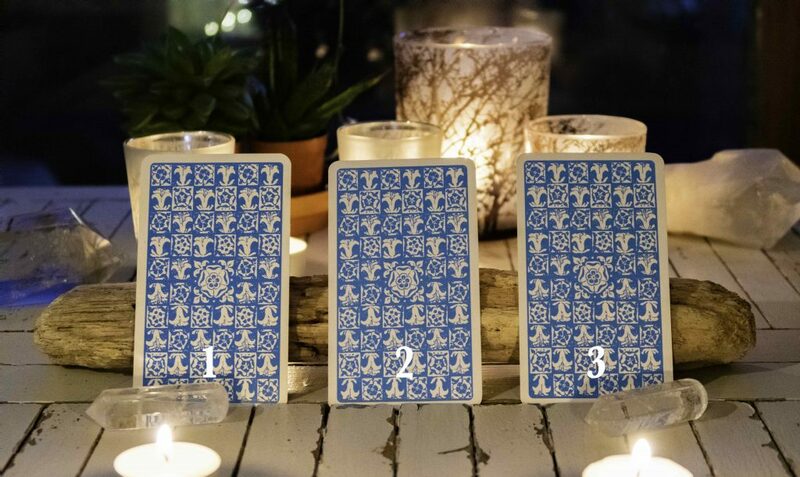 Tune into your inner accurate psychic and choose a card. Remember, you are your own Guru and have a host of answers within. Try and intuit the message of the card before you scroll down. Do you feel in limbo? Are you frustrated and waiting for something? You might be bored, or you may be hanging onto an outdated belief or situation which is causing stagnation and holding you back. Have you grown used to this period of limbo? Are you afraid to let go or move on? 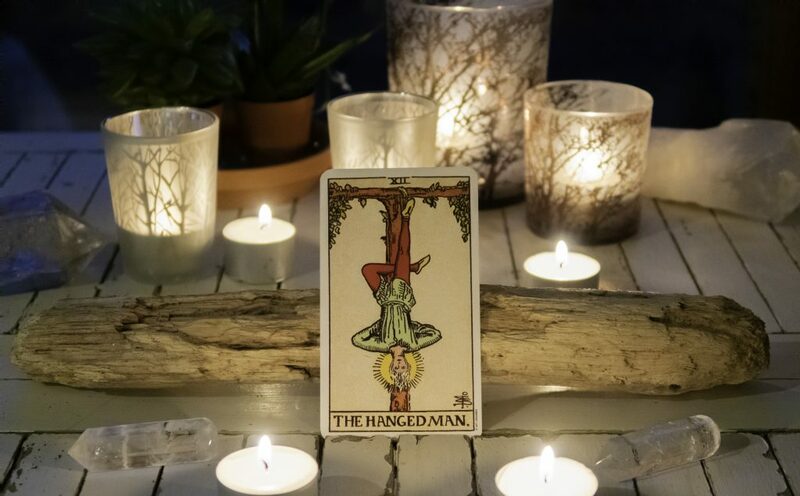 When the Hanged Man appears it is not a time to push forward but to KNOW that there’s alot going on under the surface. Remember , we can’t force nature, everything comes within divine timing. Relax into this the moment, be playful and jump into other things that bring you joy. See it as an energetic holiday! No one initially likes getting the dreaded Tower. The Tower indicates a situation that’s dramatic, swift and usually shocking. However, don’t panic! The Tower also means freedom, liberation and transformation! Yes, The Tower often brings with it a surprise. At the time you may feel utterly unprepared for it, and it takes a while to process. 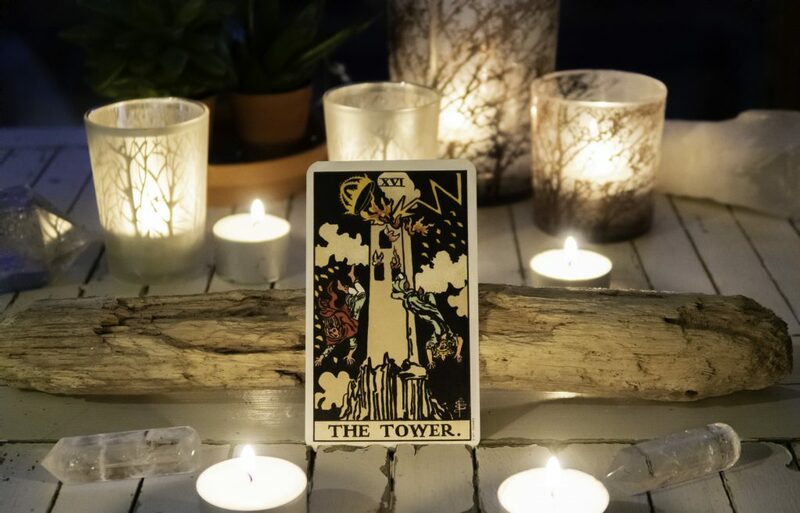 Having said that the card that follows The Tower is, The Star, a card of profound healing and inspiration. If you are finding yourself in an overwhelming situation KNOW that this too shall pass, and your life, and soul path, are about to be built on much firmer foundations. Be vigilant wonderful one, An important event has just happened or is about to. 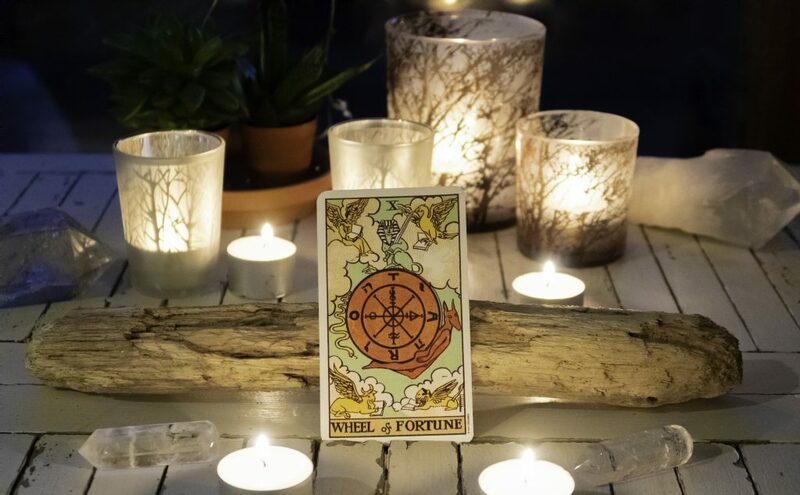 The Wheel of Fortune spins us into a time of soul growth, life is moving in a fresh direction. There are experiences, people, lovers and events that are meant to be, they are woven in between our free will. Of course, we get to choose how we react to these situations, we are responsible for untangling these fated events and using them for our spiritual evolution. You are about to step into something ‘meant to be’. A new cycle, a spin of the wheel, a change of fortune! Free Tarot Reading – Focus on the three Tarot cards and feel if there is a message for you. We are all super intuitive and tune into accurate psychic information at any time. Free Tarot Reading – What energy is around me today?